Native to equatorial Africa, this species is highly intelligent and can mimic human speech. This makes them one of the most desirable, loveable and lifelong avian companions on our planet. 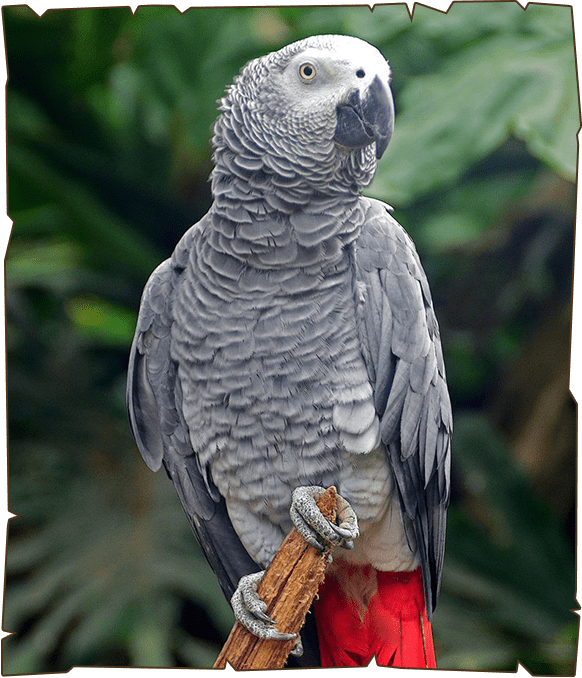 There are two general types of African grey, the Congo African grey and the Timneh African grey. The species originated in the lowlands of the western and central regions. However, both species can also be found in various regions of Africa. The average life span of an African grey in captivity has been noted to be around 40 to 50 years, however, they have been observed to have a much shorter span of about 23 years in the wild.